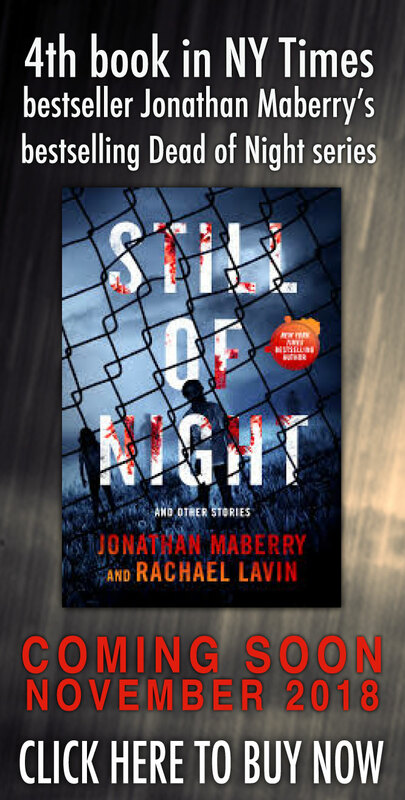 In the last couple years, it seems like there’s been a major surge in the amount of new material being published in the field of dark genre fiction. And a surprising thing about that is the literal plethora of entries in the lexicon of weird or cosmic horror fiction, with collections like Laird Barron’s Swift to Chase and T.E. Grau’s The Lure of Devouring Light receiving high—and well deserved—accolades, not to mention all the novel- and novella-length books being produced by indie and big five publishers alike. Which leads me to a guilty confession: I can’t stand most cosmic horror, particularly that of the Lovecraftian variety. And the reason for that is simple. Up until recently, most of the work I had read in the subgenre was pure pastiche, with nothing original or new about it, and if you want to sell that type of stuff to me, it should be different in some way. Fortunately, there have been a lot of books that fall into the “unique” category lately. Frank Cavallo’s newest book, Rites of Azathoth, is one of them. In Cavallo’s newest book from Necro/Bedlam publishing we meet Diana Mancuso, a tough, beautifully broken FBI agent carrying more than just a few demons of her own. She stopped doing field work a long time ago but somehow finds herself back out there, pitted against one of the worst serial killers of all time, a man who killed thirteen women and their children back in the seventies before finally turning himself in and giving a full confession. 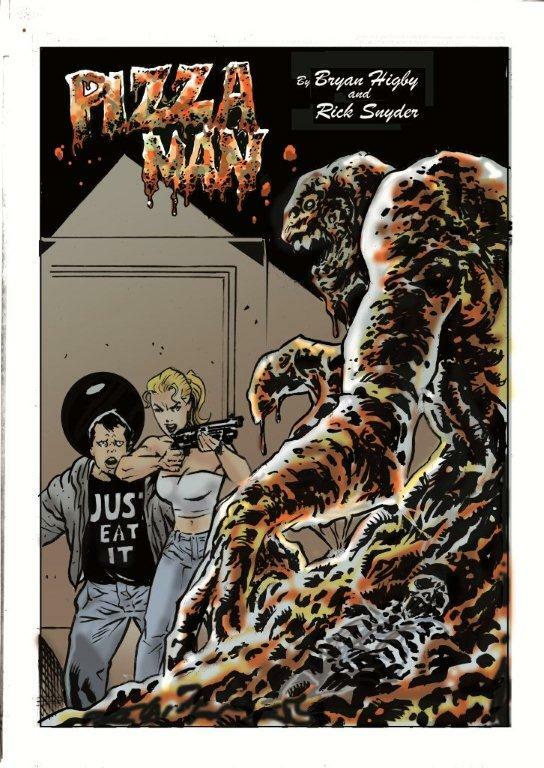 He was safely locked away until recently, having broken out of the maximum security prison he’s been rotting away in for several decades, and Diana finds herself tasked with profiling him and hunting him down before he completes his horrific mission. Which brings me to the next thing I found so remarkable about this book. Cavallo is a master of the mental image, with a knack for making his readers “see” what’s going on in each scene. He takes your brain and makes it his canvas, painting some not-so-pretty, but oh-so-delightful depictions of the action that runs through the book almost constantly. 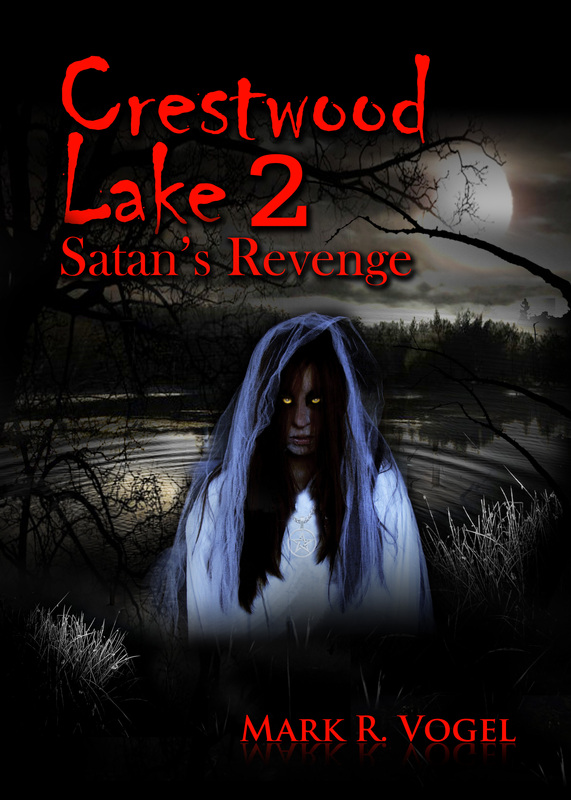 There were a few things in this book that could have been improved, most notably the length. There was some pretty lengthy and unnecessary descriptions, particularly when it comes to property and architecture, and there was one short chapter that was probably completely unnecessary. 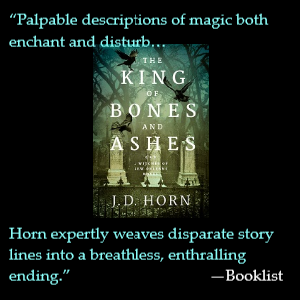 But other than those minor detriments, the story is fantastic, the characters are easy to like, or hate, such as the case may be, and you’ll probably find yourself at the end of this chilling book much sooner than you expect to be. 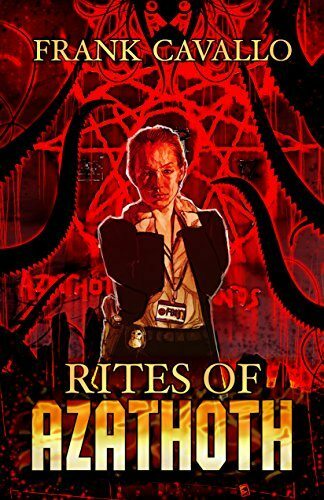 With undertones of Lovecraft, mixed with Barker and just a splash of Thomas Harris, Rites of Azathoth is a thrill ride of a novel that I wouldn’t hesitate to recommend to anyone interested in a fast paced, fun cosmic horror story. I’ve not encountered Frank Cavallo before but now that I have, I’ll certainly be seeking out anything else he produces.